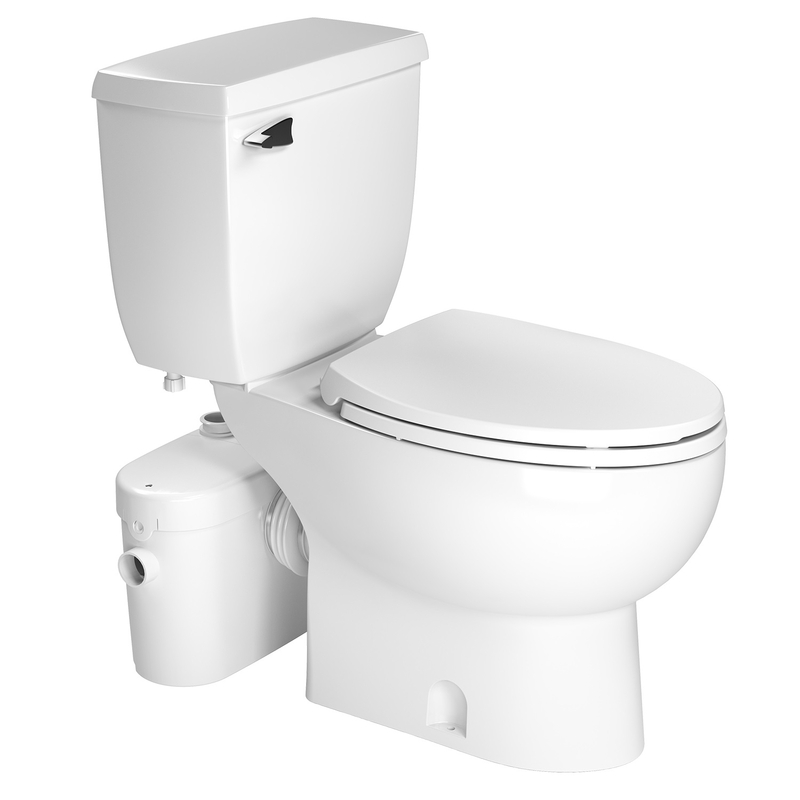 The Saniflo Saniaccess 2 Upflush system is the newest addition to the Saniflo Family, this unit is designed for half bath installations and has all the awesome features of its big brother the Saniflo Saniaccess 3 which is a favorite of the SanifloStore. It may be smaller in size but is just as capable with its powerful 1/2hp macerator/pump and easy access panels which allow homeowners access to the blade system and vital components. 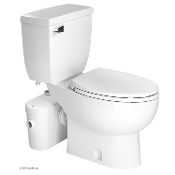 The Saniflo Saniaccess 2 UpFlush system is used to install a half bathroom up to 15 feet below the sewer line, or even up to 150 feet away from a soil stack. It can handle the effluent from a toilet and sink. The Saniaccess 2 is simple to install with just 4 connections.